A couple of people have asked me what I’m using to take the pictures on this blog. Well that’s the answer over there on the left. It’s a Nikon D70 teamed up with a Nikon SB-800 Speedlight and a Lumiquest Promax Pocket Bouncer. A lovely set of kit. It may not look like much but that’s really quite a powerful flashgun (38/125 (ISO 100, m/ft)) and it allows me to take wargames pictures using the very small apertures which give a decent depth of field. The pics below were mostly taken at 1/60th of a second at f29. The exposure control with this flashgun/camera combination is just fantastic. The flash sends out a preflash which is picked up by around a thousand sensors in the camera, which uses the data to work out just how much power is needed in the main flash. The system gives fantastically consistent results, a slight underexposure which can easily be compensated for using the camera’s controls. All I have to do is set the camera up in Aperture priority mode, dial in a +1/3 exposure compensation, set the Aperture to f29 and use the camera as a point and shoot. 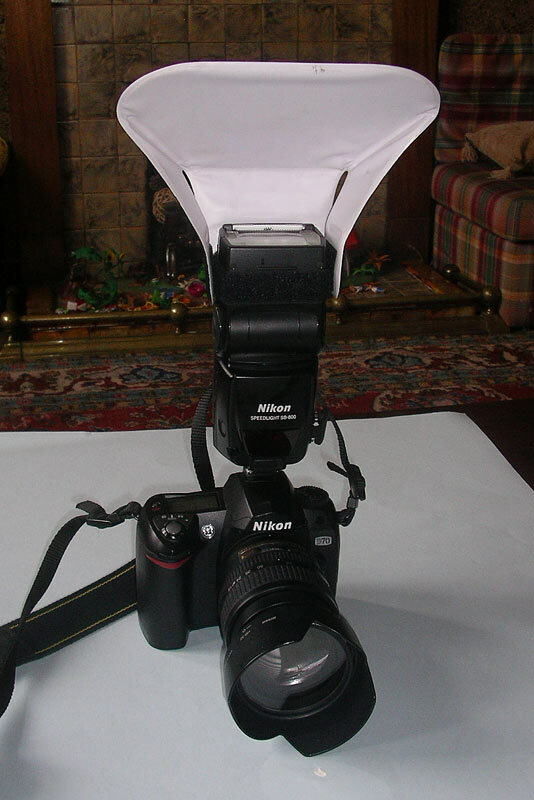 This is ideal for taking pictures at the club or at wargames shows. The Pocket Bouncer does a good job of diffusing the light from the flashgun, minimising the harsh shadows that can be a big problem when taking pics with flash. The flash can also be operated remotely and wirelessley and I intend to try this out using an umbrella flash for some studio shots. Just as soon as I find the umbrella flash clamp that’s hiding somewhere in my study.